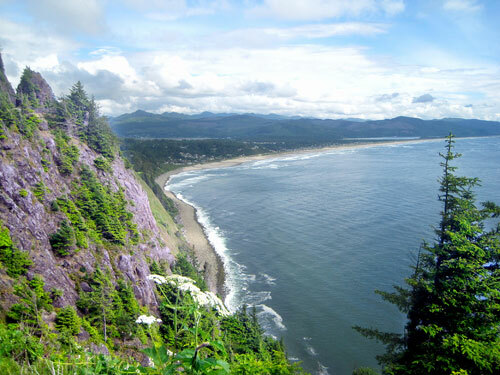 Oregon is a geologically diverse state that not only offers over 350 miles of coastline on the west, but has high deserts in the east and evergreen forests within the Cascade Mountain Range. The choices for group activities are many, but when it comes to transportation issues, many people choose to charter a bus. Everyone jumping into the station wagon is not a good option any more. When it comes to large groups of people that wish to stay together, play together and ride in comfort, a rental bus service is the best way to go. You can charter a bus for your next corporate retreat, senior citizen outing or educational school field trip in Oregon. A rental bus trip is more convenient for your members and avoids the “caravan” nightmares. 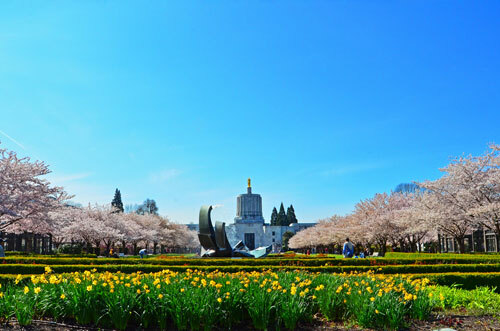 Wherever your group wants to go, there is no better way to travel and enjoy the journey as much as the Oregon destination. Once you have determined the number of passengers, rental bus pricing will also take into account the pick-up and return times as well as the number of days on the road. The best way to get a full picture of what it will cost to charter a bus in Oregon is by trying our online quote system. You fill in the information for your rental bus trip and we will match your requirements with an Oregon rental bus service. Avoid the hassle of phone and internet searching, and give our free, no-obligation quote system a try when you are ready to charter a bus in Oregon. 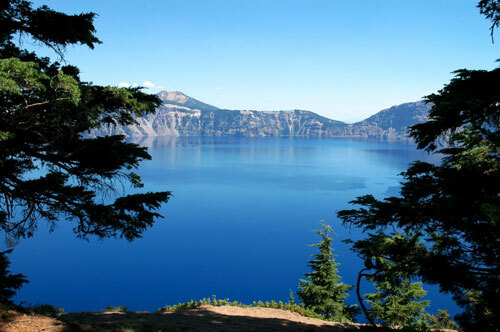 Our rental bus trip providers accommodate Oregon groups as small as 14 members up to large groups of 50-60 members. Your rental bus may also provide DVD players and other amenities that will make your bus trip in Oregon entertaining, comfortable and enjoyable. One of the biggest advantages when you charter a bus in Oregon is the simple fact that no one is stressed out about driving. You can avoid the traffic problems, don’t have to worry about getting lost, and best of all, your group will be headed in the same direction at the same time! Find out how easy and affordable it is to charter a bus for your next group event. Wherever you are headed within Oregon, Charter Bus America has the right rental bus service for your group transportation requirements.